The first midweek matches of the new football season will take place tonight, with Hastings United and Bexhill United set for action. 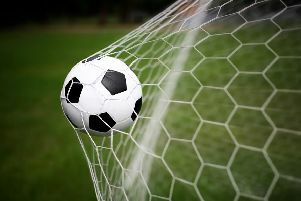 Hastings will travel to Herne Bay in Ryman Football League Division One South, while Bexhill are away to Ringmer in Macron Store Southern Combination Football League Division One. Hastings will be aiming to build on their 4-1 victory at home to South Park on Saturday when three goals in 14 second half minutes gave them a winning start to the season for the fourth year in a row. A serious-looking ankle injury to Jack Harris dampened spirits, however, so Hastings will be hoping fellow forward Frannie Collin is fit enough to return tonight having missed the weekend game. Herne Bay, who began their programme with a 1-1 draw away to Tooting & Mitcham United, are likely to present a tough test for Darren Hare's side. The north Kent outfit won both league matches against Hastings last season, including a 2-1 victory at The Pilot Field on the final day which prevented Hastings reaching the play-offs. Bexhill, meanwhile, will seek to pick up their first league points of the campaign having considered themselves hard done by to have lost 2-1 at Oakwood on Saturday after producing a good performance. The Pirates will be hoping for a similar display but better result against a Ringmer team which started with a 1-1 draw at home to newly-promoted Billingshurst at the weekend. Kevin Barden will miss out as a result of the knock he took against Oakwood, while Zak Olujobi is unavailable. Both of tonight's matches will kick-off at 7.45pm.